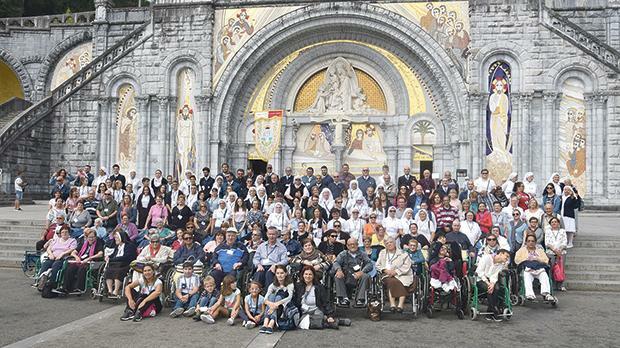 Archbishop Emeritus Paul Cremona led the annual pilgrimage in Lourdes, organised by the Lourdes Voluntary Assocation. A group of 192 Maltese pilgrims attended, including patients, volunteers, youths, doctors, nurses, carers and priests. Among the patients were nurses and doctors from the Renal Unit at Mater Dei Hospital. The group attended the Aux Flambeaux procession, the Via Sagra and an international Mass besides Mass in Maltese at the grotto. Mgr Cremona said the blessing at the end of the procession. Each year, the association helps sick people to travel from Malta to visit the shrine of the Blessed Virgin of Lourdes at the grotto, where Our Lady appeared for the first time to Bernadette Soubirous on February 11, 1858. The association promotes universal devotion towards Our Lady, organises and co-ordinates pilgrimages for the sick to Lourdes and brings together dedicated individuals inspired by charity to voluntarily help the sick. Those wishing to join the association on its pilgrimage next year can follow Assoċjazzjoni Voluntarji Lourdes – AVL on Facebook.